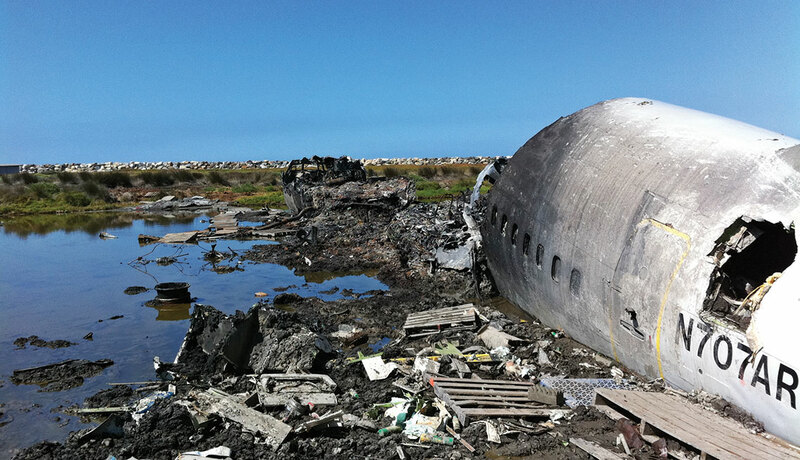 Insight performed wetlands sediment sampling, contaminated sediment removal, and wetlands restoration at the site of a Boeing 707 refueling aircraft crash and debris field in a wetlands area near the end of a runway at Naval Base Ventura County, Point Mugu, CA. 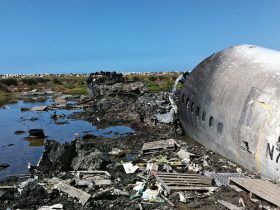 Characterizing Impacts to Wetlands Sediment/Soil and Surface Water – Insight collected samples at the crash site and associated debris field, evaluated sediment sample data, and evaluated remedial alternatives. Insight performed activities to minimize additional impacts to wetlands vegetation and wildlife, coordinated extensively with multiple military and other agencies for this sensitive emergency response project, and coordinated the tight schedule due to its active airfield location and presence on a military base. 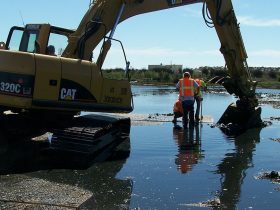 Removal Action – Insight excavated 2,035 cubic yards (CY) of contaminated sediment (1,965 tons) over 34,000 square-foot area. 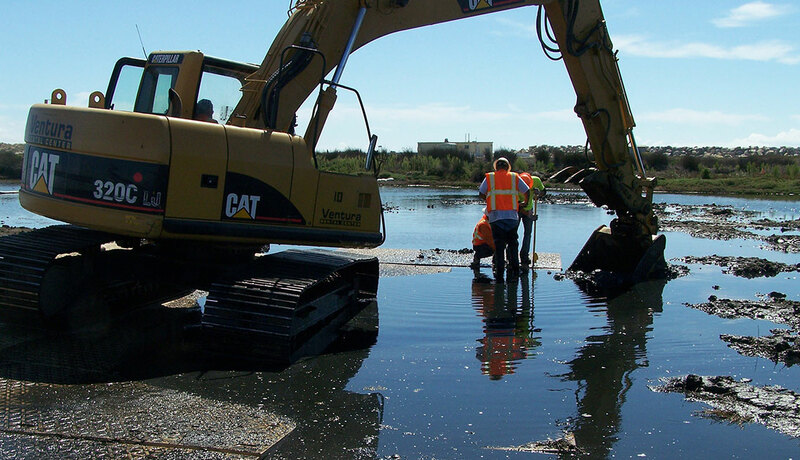 Confirmation sediment sampling and over-excavation of additional sediment was performed as needed to achieve cleanup goals, backfilled the excavation area with suitable sediment, and transported and disposed waste at an off-site disposal facility.